FAA have issued a Special Airworthiness Information Bulletin (SAIB) following an uncommanded pitch-up event after intercepting the glide slope during a normal approach. The incident referred to is believed to be the Norwegian Air Shuttle 737-800, LN-DYM, which almost stalled on an autopilot coupled ILS approach to Kittilä (EFKT) in Finland on 26 December 2012. The AIBN's investigation concluded that de-icing fluid had ingressed the tail section and frozen on three or four of the input cranks for the aircraft's two elevator Power Control Units (PCUs) and thus prevented them from functioning as intended. The SAIB draws operators attention to procedural changes in the FCOM and AMM to reduce the amount of fluid that can enter the tail cone through the elevator linkage side cutout. The FAA has said that "At this time, the airworthiness concern is not an unsafe condition that would warrant AD action"
An operator of a Model 737-800 airplane reported an uncommanded pitch-up event after intercepting the glide slope during a normal approach. The elevator failed to properly respond to autopilot commands, and the flight crew reported that the elevator responded only after higher column forces were applied. 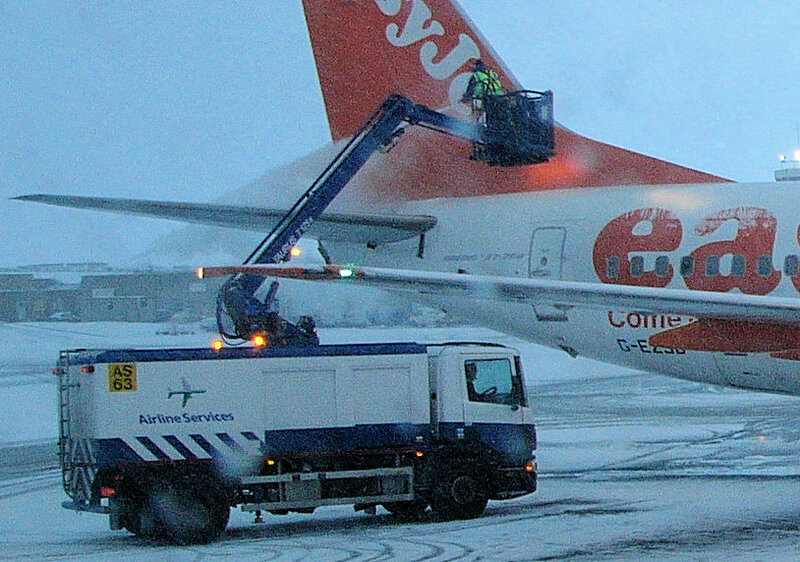 It was determined that de-icing fluid can enter the tail cone during airplane de-icing with the horizontal stabilizer trimmed to the full leading-edge-up position. This fluid can then freeze around the elevator power control unit (PCU) input levers, restricting their movement. Boeing testing has shown that positioning the horizontal stabilizer in the green band range during de-icing will reduce the amount of fluid that can enter the tail cone through the elevator linkage side cutout. 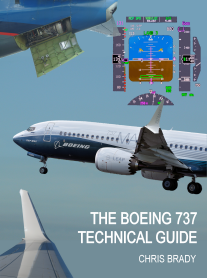 Procedural changes have been made to the 737 Flight Crew Operations Manual (FCOM) D6-27370-TBC, dated September 25, 2014, and the Boeing 737-600/700/800/900 Aircraft Maintenance Manual (AMM), Task 12-33-01 “Cold Weather Maintenance Procedure,” dated October 15, 2014, to reduce the amount of fluid that can enter the tail cone through the elevator linkage side cutout. The revised FCOM procedure instructs the flight crew to position the horizontal stabilizer at the calculated take-off setting within the green band range for de-icing. The revised AMM procedure instructs maintenance personnel to position the horizontal stabilizer to five units of trim. Additional guidance for these procedures can be found in Boeing Fleet Team Digest 737NG-FTD-27-13005. The full SAIB is available here.